Provide comfort for the family of Eveleyn Curran with a meaningful gesture of sympathy. 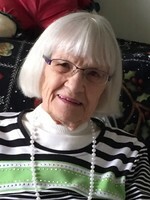 Eveleyn passed away peacefully at over 96 years of age. Born in Macrorie, Saskatchewan, Eveleyn married her sweetheart Stephen and together they farmed near Dinsmore/Macrorie, Saskatchewan where they raised their four children. Following Stephen’s death, Eveleyn moved to Outlook where she lived for over 15 years before moving to Calgary. Eveleyn was active in the community, serving as Brownie leader for several years. She loved playing cards, bowling, quilting and gardening. Eveleyn is survived by her four children Carter Curran (Darlene) of Brooks, Elaine Stechisen (Bob) of Winnipeg, Linda Pope of Chestermere, and Trudy Curran of Calgary; along with several grandchildren and great-grandchildren. 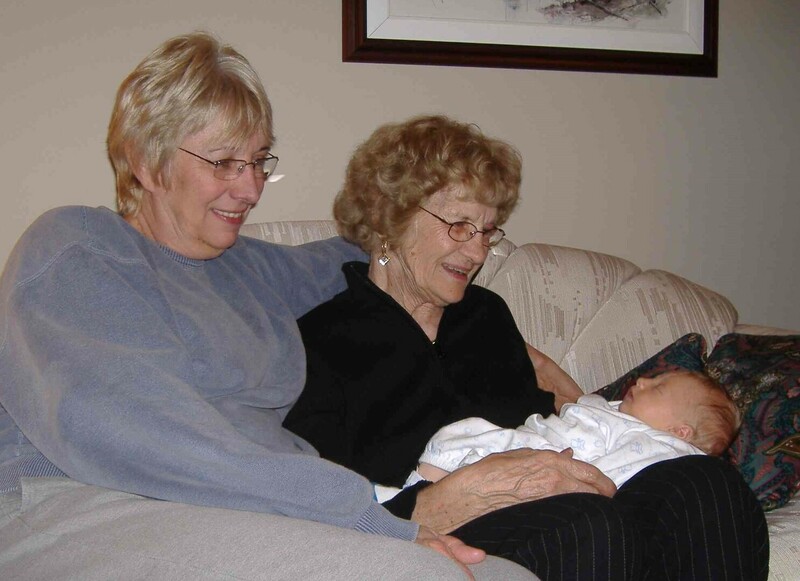 She is predeceased by her husband of 45 years, two loving grandsons, and her 12 siblings. In lieu of flowers, the family requests that donations be made to a charity of your choice. A Celebration of Life will be held at the Macrorie Town Hall in Macrorie, Saskatchewan on May 25, 2019. To view and share photos, condolences and stories of Eveleyn please visit www.choicememorial.com. Arrangements entrusted to the care of Choice Memorial Cremation & Funeral Services (403) 277-7343. We encourage you to share your most beloved memories of Eveleyn here, so that the family and other loved ones can always see it. You can upload cherished photographs, or share your favorite stories, and can even comment on those shared by others. Provide comfort for the family of Eveleyn Irene Curran (Andrew) by sending flowers. I won't forget the summer of 1969 working at the Curran Farm. Eveleyn welcomed me as one of their own. We watched the moon landing one evening. A Grand Lady. Glenn Mason, Warman SK.